Oh, how I would just love to be like all the other people in the world and function normally. You know, where you've got a skin thick as nails and could care less what other people say or do. Wait, that's what I wish I was like. Maybe I should rethink that statement. At one time, I didn't let it show and I didn't let it bother me what most people said or wrote to me, let alone how they treated me. I just didn't care and if I did, it was treated like most everything else in my life where I internalized it. Now, I'm at a point though where my body is waking up and I no longer store everything internally. As a result, I'm much more sensitive about everything than ever before. All my life I have been an extremely sensitive person. In fact, they label my type of people as highly sensitive people. I'm not sure I want that badge or the sensitivity at times because it seems to just make life harder. Trying to find my way through it is like trying to sprint through a thorn patch. It doesn't feel good, nor is it something you desire to do. 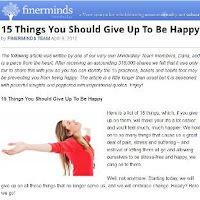 Posted on Finerminds website, one of their team members named Dana wrote an article about 15 things you should give up to be happy. Okay folks, I'm not going to sit here and tell you what you should give up to be happy or how you should be happy. That is for each one of you to figure out on your own because when you do, then you have found life. However, this article had some good information in it that will hopefully get everyone to think about happiness a little more. I like the first point Dana makes about giving up the need to be right. After all, you can be right all the time in your eyes and alienate yourself from the world, or you can back off of this and engage with others. Sometimes when we are not always right, we give ourselves the opportunity to learn and see new things in a different light. Just wondering when the last time you bought some healthy sunflower seeds to munch on as a snack? Were they healthy nuts, or did they have stuff added to them that you didn't realize? If you're like I was, I bought some Planters Sunflower Kernels and didn't even pay attention to the ingredients. After all, who would think they would add so much junk into a natural product. It seemed like such a simple purchase! I know, I know - I've said it a million times. You've got to read the labels, but on something as innocent as sunflower seeds? Really? Unfortunately you do, because if you see what I'm looking at right now, you'll most likely be as shocked as I am. To Check out "What's In Your Pantry" blog post, click this link. Some of the ingredients in this Planters Dry Roasted Sunflower Kernels include the following ingredients. I've been through quite a bit in my life and if you have been reading my blog for any time, that is most likely obvious. None of these things have been easy and in fact there were times that I never thought I would make it as far as I have today. For a long time in my life, I had people tell me that I would never get to the point I'm at. Everyone said, you will always be on antidepressants or anti-anxiety medications. Most thought I would always suffer from severe depression. When it came to migraine headaches, no doctor out there ever suggested that I could get past these so that I would not suffer from them for the rest of my life. During the rash that I had, it seemed like all hope was lost and I there was nothing that could cure me. When I was in high-school and I had an ulcer (nervous stomach), the doctors didn't tell me that I could cure this. They only told me to quit worrying and prescribed another pill. When I had nightmares because of the trauma I had been through, I begged for my life to end. During the many suicide attempts, I hoped that one day I would be successful. From the interview with Dr. Paul Canali on the Mind Body Interface and Healing Conversion Disorder, is a quote that says so much. Put your attention not on another pain medication, anti-inflammatory, anti-depressant - Put your attention on the source. Go to the source of your pain and suffering. The entire interview can be heard by clicking on this link. When we open our eyes, we begin to see. It is then that we find awareness which gives us the choice to grow and evolve or remain where we are. While I see many people concerned about animals (and rightly so) for having emotions, they often forget our other living organisms in this world. I'm talking about plants. Plants have emotions which is something I have always felt, but could not prove it until I read the book, The Field. On page 144 in this book, the story unfolds that a New York polygraph expert by the name of Cleve Backster was doing studies on plants just for fun. He wanted to see if they registered emotion via an electrical impulse on his lie detector equipment. When he burned the leaf of a plant, he found that it registered an increased stress response just as if a human had been burned. What was more astonishing was that Backster burned the leaf of a plant close by and although it was not hooked up to his equipment, the original plant registered a stress response. It was as if the original plant felt what had happened to the other plant. Somehow the two plants communicated and they felt what was happening to each other. There was some form of interconnectedness between these two plants. How many of us want to affect our life and change where we are at, but we often fall short and give up in frustration? I'm sure many reading this could identify with this question in one way or another. A book I am reading by Joe Dispenza, Breaking The Habit Of Yourself, has some excellent things to think about when it comes to focusing our thoughts to attract the reality we want. Think about this book quote for a moment. If you combine your focused thoughts with your purpose and then add the catalyst of passion and emotion, watch out! For what you want to attract into your life and how you want to create your day will show up more powerfully than you could have ever imagined. Every day, all day long we put out something to the world. In our actions and words, we portray a message to the world around us. Even through our thoughts and energy, we impact those close to us and those that are far away. Yet, what do you broadcast? It is easy to go through our day thinking that we are just operating alone or within a very narrow space. However, if you read Dr. Joe Dispenza's book, Breaking The Habit Of Yourself or Lynne McTaggart's book, The Field, you will quickly see that this is anything but how we operate. We impact our world, our life and the lives of those near and far in ways that we may not even consider. The words we use, the thoughts we think and the actions we do all touch the lives of those around us. They either do this in a positive or a negative way. All you have to do is look at your life and see what you are attracting. When you do this, it becomes a mirror to what you are sending out. All too often, we want something else in life, but what we send out is what we will get back. If you think about it for a moment, you will most likely see evidence of this in your own life. It really isn't that difficult to make your own bathroom hand soap. After all, if you don't want to buy the stuff that has all the unnecessary and bad ingredients in it, then take a few moments and make your own. It is cheaper this way and much more healthy for your body. We use the Dr. Bronner's Pure-Castile Soap with Peppermint. You could use just about anything that makes you happy. If you have sensitive skin, there are products on Dr. Bronner's website that may work wonders for you. I like his products because they are natural products and earth friendly. You can visit the company website to find out more information, www.drbronner.com . We purchased our foaming pump bottles in bulk so we would have enough for the entire house. They are relatively inexpensive and seem to do a great job. Here is the bottle that we purchased on ForSoapMakers.com . Lately I see and hear the phrase "just sayin" being thrown around as a modern day jingle. I'm amazed at how much it is said and the context in which it is stated. To me, it is a statement made with great condescension, judgement, and lack of respect. In fact, the urban dictionary attempts to define it as someone making a statement without having all the facts. It is like, someone does not know what they are talking about, yet they make the statement anyway. That's pretty amazing when you think about it, but in many ways that is how our public discourse occurs these days. Gone are the days when people actually sat down and talked with one another, listening to what the other person had to say. People are too quick to state what they think, then they ask someone for their views. When you do that, you're really saying, "my beliefs are more important than your beliefs, but if you must, I'll listen to you talk about them.". If you really listen to how the phrase "just sayin" is being used, you'll see the attitude that surrounds it. For the most part, it is condescending and disrespectful. It is a judgmental statement at the root. Of course, I do realize that everyone has an opinion that they feel the world must hear. The news agencies promote this agenda by showing random people giving their opinion. They further promote this agenda by allowing people comment on news articles. Another favorite book of mine is "You Are The Answer" by Michael Tamura. In this particular quote that I'm sharing, he talks about how we sometimes make life too difficult and mostly because we have learned to ignore the simple things and the simplistic part of life. It is a survival mechanism, but as we wake up, so do we begin to see the simple things. I often use the example for people that most will walk outside and never hear the birds, or see the simplest things around them. When this happens, we miss out on so much in life. As you begin to wake up and become more conscious, these things become a symphony for your life that you will rarely miss. Anyway, here's the quote that I wanted to share today. Most of us have learned to disregard the pure simplicity of life in our struggles to survive in an increasingly complex world. It's funny that we so readily sacrifice the simple for the complicated, with the excuse that we don't have the time for it. Yet its the simple that doesn't take much time. (Page 215, You Are The Answer by Michael Tamura). A book that I am just starting to read by Joe Dispenza. So far, the book is fitting in perfectly with some other stuff I am reading and learning. I love it when synchronicity happens in life. Anyway, here is a quote from the book that I enjoyed. When we encounter rough moments in our life, it seems to be some of the roughest moments of our life. We tend to look at it as a time when it is just too much to handle. Instead, if we can step back and try to see the bigger picture, we will see that it is always darkest before the dawn. The dawn of a new day in our life can be a wondrous thing, but it can also be a challenge as we give birth. Difficult times and upheaval is a moment that brings us to the point of great change in our life. I'm not going to say that any of it is easy and it is simple to just look at it this way. I'm only trying to offer up a different way to view great challenge in a person's life. Often when you begin a major transformation time in your life, you will find that it can be very difficult. When you set the intention and begin to allow the shift to take place, your life might actually become more challenging. It is easy to question why this would happen and what is wrong with your life. After all, you are trying to change and make progress, but it almost seems like you are going downhill and backwards, rather than moving forward. Recently, I wrapped up an interview with Dr. Paul Canali of Evolutionary Healing. 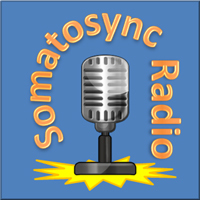 In the interview, we discussed how to heal Conversion Disorder in regards to the mind body interface. If you are suffering from Conversion Disorder or know someone that does, this 33 minute interview is well worth your time to listen to it. Even if you don't suffer from Conversion Disorder, the information applies to every human on the planet. When I went through the major episode with Conversion Disorder in 1991, there were really no resources and no one to talk to. The internet wasn't really in existence like it is today and so I was forced to find my own way through this ordeal. None of it was easy and I know first hand just how difficult it is to come through this. However, I knew there was some way out of the hell my body and life was shoved into and I never gave up in trying to find the help I needed. It took me many years to finally move to a place and meet someone that could truly help me heal from Conversion Disorder. When I went to him, the big physical symptoms had pretty much gone away like the paralysis, but I had plenty of other physical realities to deal with in my life. On top of that, I had just lost my mom to a car accident which set off a cascade of events in my life. All to often in our life, we get stuck in all the experiences we have been through in our life. For some people, there is much more to get stuck in than others, but if we stay in the past, we will rob ourselves of the future. Just like Buck Brannaman said in the movie, Buck, "Horses live in the moment, now there may be some things from their past that give you some trouble in the moment, but you have to fix it going forward, not backward." Of course, this does not mean that we should not look at our past and unearth the stones that are on our path. It does not mean, you don't have to heal those old wounds and find the root of what happened. It does not mean that you have to do any of these things as well by staying stuck in the past. When you live in the moment, you use the experiences of your past to move yourself forward. You learn to embrace these things as a way of becoming more authentic. You learn to use these horrible experiences as a way to discover who you are and become more conscious about your life's role in the universe. Do you ever feel stuck in the same old loops of life where your mind seems to travel familiar pathways? You know, where an event happens and your mind reacts automatically with essentially the same result. I'm sure all of us have experienced this at some point in our life or maybe on a daily basis. I"m sure there are some reading this that are not able to see the old loops of their mind that they are stuck in. One of the best things anyone can learn in life is that even though you have reacted the same way to some event in your life, does not mean you have to operate the same way in the future. You do have a choice as to how you react and a choice to do something different. I am not talking about avoiding something, or passing it off, or thinking a happy thought to make it disappear. After all, if we hide our self from these things, how will we ever grow and evolve? What I am talking about is looking hard at these things in your life that you do, and then questioning whether this is what you wish to continue for your life. Once again, you do have a choice as to how you react and what you do. You can revisit it as many times as needed. Amazing how we as humans operate our mind and body in this life. For all of our advancements and human ingenuity, it seems like we fall short when it comes to the evolution and awareness of our consciousness. All too often we participate in life, without really being actively involved in our life. We go through our days as if there is no purpose or reason to be here while thinking we have plenty of time to worry about these things at a later time. In addition, we often know what we need to be doing in life, but we sit on the sidelines thinking about it, rather than doing it. We wait for some miraculous sign or some loud voice to boom down from the heavens and share with us the insight that is already within us. We constantly look for signs, beg for assistance, and look to others to give us that fulfilling prophecy of our existence. When we don't get the answers we need for our life, we keep running down the highway hoping to find something that will give us meaning, purpose, and desire. Sometimes we crawl into our own corners and hide from life, because we have just had enough of the searching for the answers we need. Sometimes, we just say you know what, I am going to chase the pretty lights of this world only to find they are an illusion. This is a special day in my eyes for many reasons. I miss my mom so much and it is the one day of the year that I really think about her. In addition, Mom's do so much for us that I think it is a good thing to honor these people that brought us into this world. It doesn't have to be about expensive gifts and spending a lot of money on your mom to show her how much you appreciate her. Spending some time with her will mean so much. Anyway, today's post is just to say Happy Mother's Day to all the mothers out there and to let them know how special they are. 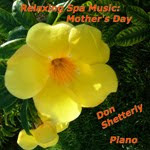 Here are a couple of my favorite blog posts on mothers and mother's day. I love this quote by Buck that I think was in the movie. It is a simple quote, and if you have seen the movie, it really makes sense. For what Buck went through early in his life, he found a way to overcome this and make something extraordinary with himself. We all have that potential no matter what we have experienced in life. It may not seem like it in the moment, but it is there calling us home. If you haven't seen the movie, then by all means, check it out by clicking this link. Here is a website full of information on symptoms of functional and neurological disorders. It gives some very good explanations and deals with the subjects that few seem to really want to talk about. I am not endorsing the treatment or practices of this site because I have not had a chance to truly evaluate them. I am only sharing this as a resource to help further understanding of biological and physical conditions which affect many people. I continually read accounts and stories of personal struggles each day on the internet of people feeling like there is nothing they can do in life to help their situation. Whether it is conversion disorder, financial difficulties, relationship problems or other concerns, there is always a way forward. It may not look that way in the moment, but believe me, I've been through enough in life, to prove what I am saying. During my days of seizures, lack of energy, and paralysis of the conversion disorder, I was passed from doctor to doctor, claiming they could find nothing wrong with me. From a diagnosis of multiple sclerosis, to anxiety attacks, to tests of every nature, life seemed hopeless. It was not until one neurologist began to think outside the box in regards to my treatment, that my life began to change and have hope. There have been other times in my life where I lost everything financially and was facing homelessness in a matter of days. At the time, I was so depressed that I could barely focus on solutions to keep myself from becoming homeless. It seemed like there was no way to win and all was hopeless. Yet, a friend of mine helped me begin seeing the logical side of the events, and I was able to rescue myself from the situation I was in. 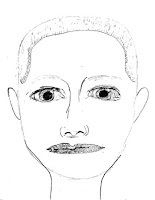 MD Anderson Cancer Center of Orlando held a class on learning to draw a face. The class was taught by Angilyn Watson and was part of their mind body medicine program. They have many classes throughout the year at MD Anderson and many are free. The classes are for patients, family, friends and the public. When I saw this class become available, I thought it might be fun. Of course, the skeptical side in me said, "silly - you know you can't draw!" Yes, I know that drawing stick figures was a challenge for me, but I'm creative and I thought, heck, why not give it a try. After all, what's the worst that could happen. Maybe I would just spend two hours in a class proving I can't draw or that my stick figures might look more realistic. The person teaching the class did guarantee we would learn to draw a face. I wondered before I went if she knew what she was getting herself into with someone like me. Putting all skepticism and negativity aside, I'm glad I went that day. My drawing doesn't look perfect to me but in a two hour class that was fast paced, I'm very surprised at what I accomplished. I learned things about drawing that I never knew. High school art class never really taught me much other than the fact that I didn't understand how to draw a still life picture represented by a bowl of fruit. While this may sound more like a product promotion than a post on mind body thoughts, I assure you there is a reason for me sharing this. I have been wanting a Kindle Touch for a long time and I finally got one. I'm so happy that I now have this (as if you can't tell). One of the things that I love to do in life is read. For me, reading opens up a vast new world that I can experience without traveling anywhere. It gives me opportunities to explore concepts and places right from the comfort of my own home and in the time that works for me. However, one of the issues I have is that when I read a book, I either have to store it on a bookcase when I am done, or donate it. Of course, most of my books are marked up with notes in them so other people may not want to read them as a donated book. Many of the books I read, I really enjoy but some of them I do not. If I don't enjoy the book, then I have this physical item that I need to do something with. This is where the Kindle Touch comes in for me and why I love it so much. It allows me to purchase books at a cheaper price which means I can read more books! In addition, it allows me to make notes, highlights, bookmarks or share sections of a book as I read it. No longer do I need to dog-ear the corners of the pages and then try to go back and find the parts that I loved the most. It makes this so simple to keep up with so I can reference back to in the future. Unified Therapy(TM) is a revolutionary treatment approach which access innate self-regulating mechanisms. A new direction for healing many chronic conditions including PTSD, anxiety, and pain. This seminar is taught by Dr. Paul Canali of Evolutionary Healing Institute. He has helped change my life in many ways and this is the work and understand that I am learning. It is not about teaching a system as much as it is teaching concepts that anyone can use and that really help the person heal from the inside out. Here is one of my favorite thoughts that comes to my mind in many ways. Many of us are afraid that we aren't creative or that we aren't good enough or smart enough to create. Yet, we all create our moments in our days and we create the world which we come to know. Creating is something we all do every day of our life, but sometimes we get so hung up on creating like everyone else does, that we lose site of our own creations. Enjoy the following quote and realize just how much you create in a day of your own life. I love some of the quotes that I see on the internet and I believe this one is by the Dalai Lama. If it is not by him, please feel free to enlighten me and let me know who said it because I will make sure the right person gets credit. It is just too good of a quote in my mind especially when we all get so hung up on religion these days in the world. I saw this report on one of the latest fads among teens. Teenage kids are now using hand sanitizer to get drunk. Apparently the amount of alcohol is significant enough for them to consume the sanitizer straight from the bottle or separate it out from the other ingredients. In fact, the level of alcohol is so high that these teens are showing up in emergency room with alcohol poisoning. While I applaud the health officials calling a press conference to alert parents to this behavior, it seemed from the video report I saw online, that the main emphasis was to keep hand sanitizer out of the reach of your children, or buy the foam products because they are more difficult to separate the ingredients out. I want to say congratulations for sharing these tips with parents, but on the other hand it looks like everyone is missing the bigger picture. In my view, if a child craves alcohol that much, then there is a bigger issue at stake. One might ask the question as to what is going on at home and if alcohol is being consumed in large quantities by the parents while in front of the teens? In addition to this, it might seem obvious to ask what else is going on in the kid's life that is causing so much stress and disconnection from life, to have a desire to do this. There is something there that is at the root of the problem, but it appears we are throwing a band-aid on the problem while the adults continue to live with their heads hidden in the sand. I finally got a chance to see a movie that had been recommended to me. The movie documentary, Buck, is an excellent one to see. Essentially Buck Brannaman, the horse whisperer is able to get horses to do things that most people could never dream of getting them to do. It is a story about his life growing up in some very difficult circumstances and ending up living a life that makes him feel fulfilled. In the movie, it shows how Buck is able communicate with horses and observe the smallest things in them that most people do not observe. Through his closeness and ability to understand the horse, he is able to be one of them and accomplish so much. I am seeing the same thing in Unified Therapy that I have experienced and am using to learn to heal others. It is those subtle moments that most people do not see, but if you can notice them and work with that, you will find a way to unlock so much trauma in a person and release it. It is life changing, just like what Buck does with horses. It is also interesting to note a few other points in the book. People that needed to be influenced by someone else such as in the case of calming them down or focusing their attention, were more receptive and open to the influence of others. In many ways, the channel for this might have been more open in people who were having difficult moments, than they would otherwise. I believe it is built into us biologically as humans to need one another and for humans to help and lift one another up. 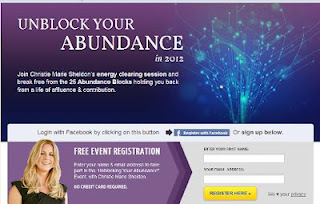 One of the things that I most like about the Unlimited Abundance program with Christie Marie Sheldon is her use of a clearing statement. If you are at all familiar with Christie, you will hear her make the statement in one form or another, "I Delete, Uncreate and Destory" followed by whatever phrase that is appropriate. For example, let's say you are interviewing for a new job, but you are so nervous going into the interview. Using Christie Marie Sheldon's phrase from the Unlimited Abundance program, you might say and meditate on the following statement. I delete, uncreate and destory all my fears and nervousness of going into the interview. Okay, that's a very simple example and there is much more to it than just a few words. An expanded explanation can be found in her program (to learn more about the Unlimited Abundance program, click this link). The point of writing about this is that phrase has begun to help me refocus and rephrase things in my life. Instead of just accepting various events and experiences as they are and feeling like I cannot change them, when I connect with this statement, it changes so much for me. It is like I have now trained my mind to see another side of a situation and allow myself to let go of all that which is influencing me in the moment.